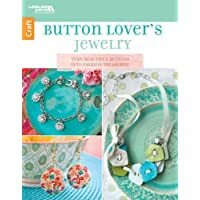 Easy to create with eye-catching buttons, the unique bracelets, necklaces, earrings, and rings in Button Lover s Jewelry from Leisure Arts make impressive accessories or gifts. Clear instructions guide you step by step. Projects include Leather Wrap Bracelet, Denim & Lace Cuff Bracelet, Floral Printed Earrings, Rhinestone Bracelet, Silver Stretch Bracelet, Chunky Button Necklace, Denim & Zipper Cuff Bracelet, Green Button Bracelet, Ribbon Pendant Necklace, Wooden Button Bracelet, Embossed Earrings, Stacked Button Ring, Denim & Button Cuff Bracelet, Blue Rhinestone Necklace, Pewter Button Bracelet, and Button Ring. These 16 stylish DIY jewelry designs are a wonderful way to show your love of beautiful buttons. You can support our site by making a purchase from the affiliate links shown below. 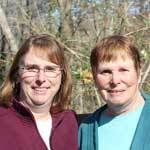 We make a small commission on sales through the affiliate links, at no extra cost to you. Your purchases help us to keep making more videos and projects. Thank you in advance for your purchase and your support!